According to the ranking EOS based PRA Candybox acquired the top spot. The other EOS based apps that found a place in this ranking table were EOS Knights, ENBank and EOSBet. For Tron, the leading app on the table was Epic Dragons while the other included PLAY GOC, ToCandy, DICE 3D, TRONbet and ALLBET. With Constantinople delayed, Ethereum problems don’t seem to be coming to end soon. The network still remains fairly congested and the Dapp’s have been struggling due to it and their performance is dipping. This being the reason a lot of Dapp’s have moved out of the Ethereum blockchain and are moving to Tron and EOS which are still pretty seamless. Sun also mentioned that the network is pretty much strong and can manage millions of transactions and all the criticism regarding the network not able to manage large volumes especially coming from BitTorrent are fake. Thanks to its capabilities like speed, less congestion, and amazing Dapp ecosystem, Tron has been one of the coins that have grown despite market meltdown. The network and token are yet going strong as the project readies itself for the big test which it to onload the existing BitTorrent on Tron network and keep its functionality seamless. With some strong fundamentals falling in place from Tron in 2019, the token could see its price skyrocket soon. Its Justin vision of taking Tron to the top could soon be a reality. 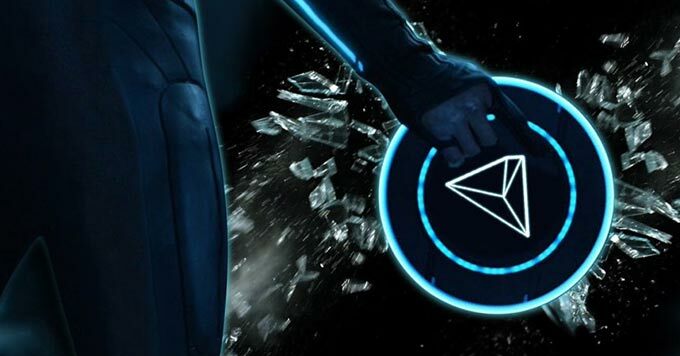 Will Tron break into top 3 cryptocurrencies by the end of 2019? Do let us know your views on the same.